What better way to embark on a shot a day assignment then with a visit to the dentist. This is Sara and she has the hands of an angel. Scrape, scrape, scrape. This is great! Looked familiar to me. Have you seen the shot I took of myself like this? 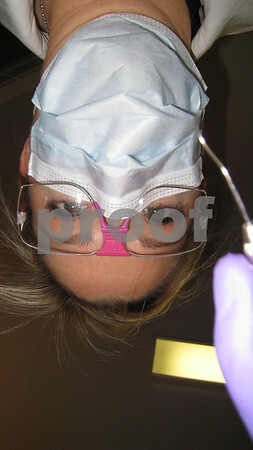 I am a hygienist and I put my Canon G9 in the chair on self- timer and took a pic to see what I look like to my patients..very similar..nicely done! Glad to hear that you didn't have cavities!!! !